If sources in tinsel town are to be believed, the hot news is that ace filmmaker Shankar and Surya will be teaming up for a movie soon. Though Nanban, a remake of the B’town blockbuster 3 Idiots, which featured Vijay, Jiiva and Srikanth was a hit, Shankar had resolved not to indulge in remakes anymore. The Anniyan director has apparently agreed to do a movie for the Aascar Films banner and sources say that he will have his own script. That was the precise reason why the prolific filmmaker turned down an offer to direct Kamal Haasan once again, when he was approached with the latter’s script. K’town grapevine has it that the duo recently met and discussed the possibility of working together in the future. Presently, Surya is busy wrapping up Maatran in KV Anand’s direction and his next commitment is said to be with Hari — for Singham 2. 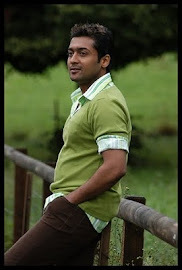 Since Shankar has opted to work with Surya this year, a little birdie tells us that Hari’s flick might be postponed further. 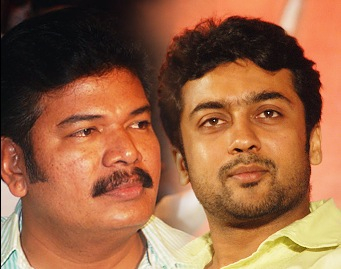 Whether it is going to be before or after Hari’s movie, the combo of Shankar and Surya is sure to rake in the moolah!